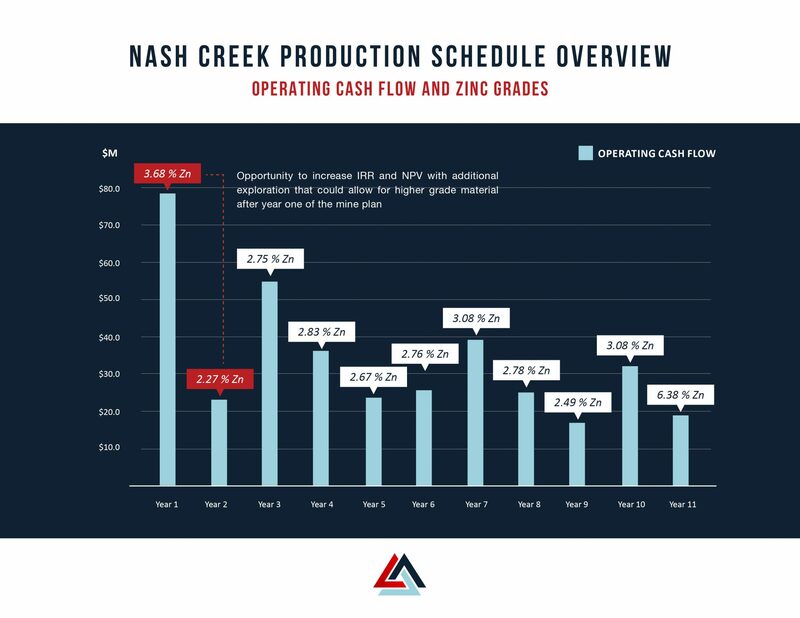 Nash Creek Project | Callinex Mines Inc. Indicated mineral resource totaling 13.6 Mt averaging 3.2% ZnEq. (2.7% Zn, 0.6% Pb and 17.8 g/t Ag) containing 963 million pounds of ZnEq. and an Inferred mineral resource totaling 5.9 Mt averaging 3.1% ZnEq. (2.7% Zn, 0.5% Pb and 14.0 g/t Ag) containing 407 million pounds of ZnEq. 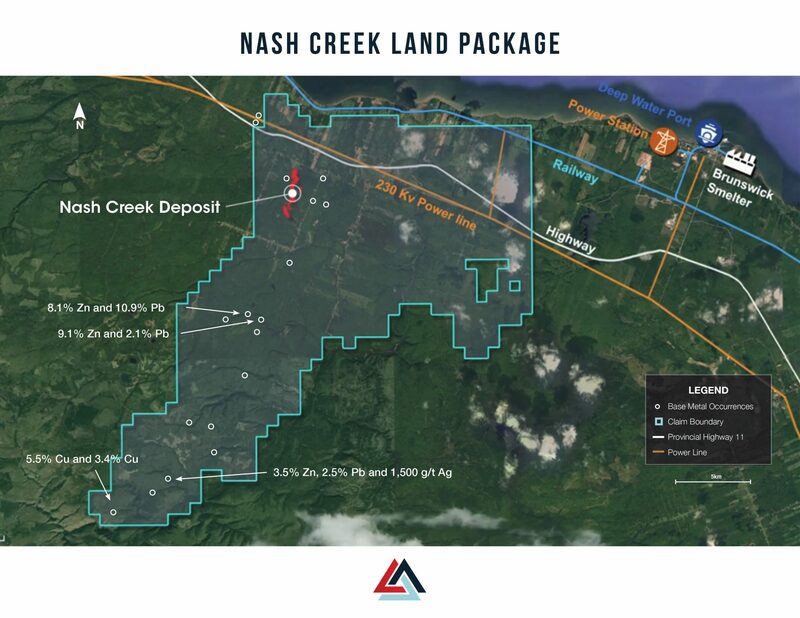 The Nash Creek Property (Property) is located in Restigouche County in northeast New Brunswick and is situated approximately 18 kilometres (km) east of the Port of Belledune and 45 km northwest of city of Bathurst. The Property is comprised of seven contiguous mineral claims, totaling 15,542.31 hectares. 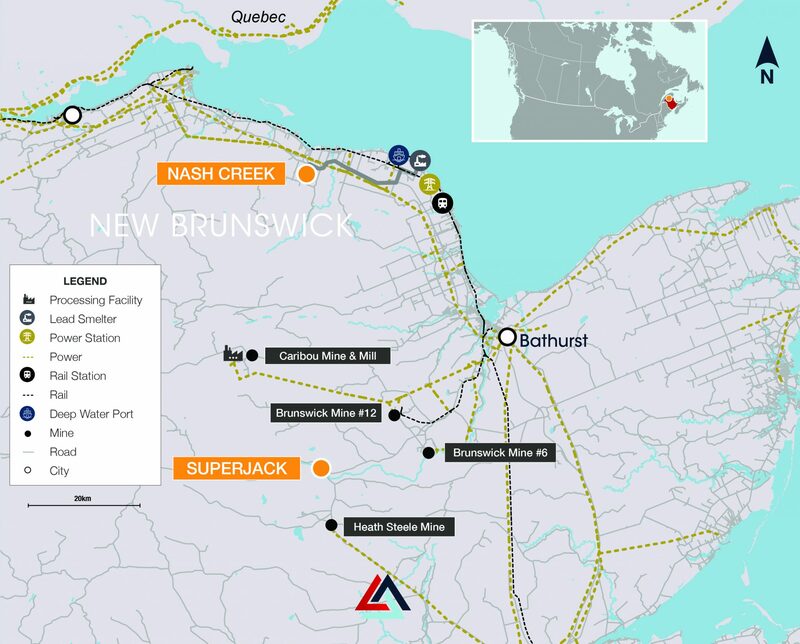 Access to the Property is excellent via highway and is adjacent to the nearby Port of Belledune where there is a lead/silver smelter, power plant, deep water port and railway hub with direct access to a zinc smelter in Valleyfield, QC. The Deposit is open for expansion in several directions with relatively few drill holes located outside of the Mineral Resource area. 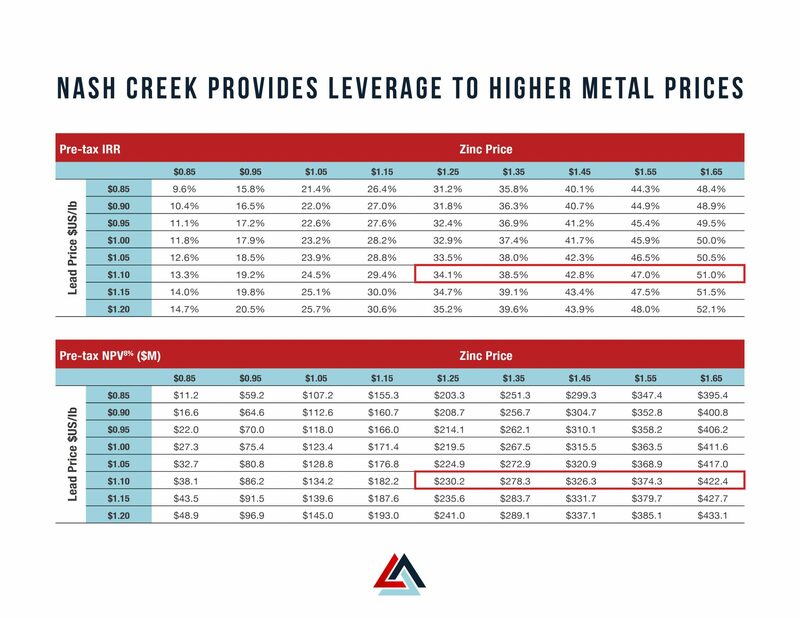 The 2017 drilling campaign on the Nash Creek Deposit, the first to ever be completed by the Company, led to a 74% increase in Indicated Mineral Resource zinc equivalent (“Zn Eq.”) pounds and a 385% increase in Inferred Mineral Resource zinc equivalent pounds (See News Release dated April 16, 2018). Additionally, the Project encompasses several untested high-grade mineral occurrences over a highly prospective 20 km long trend. The Company plans to commence permitting while aggressively advancing exploration opportunities within this underexplored 150 km² district-scale land package. Cautionary Note on PEA. 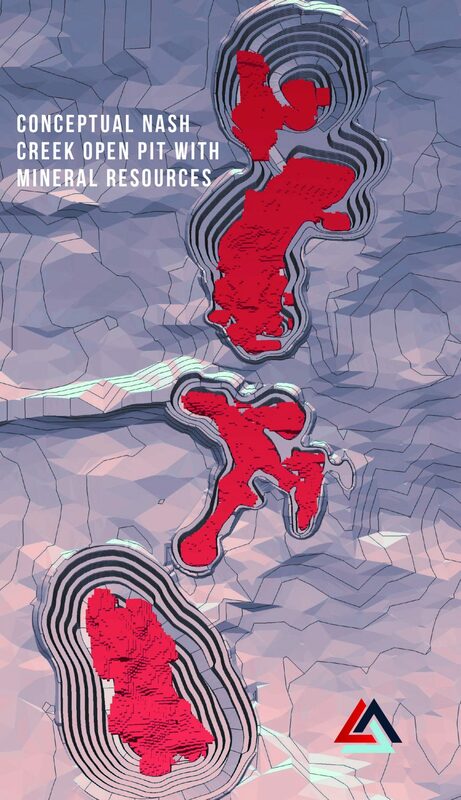 The PEA is preliminary in nature and it includes Inferred Mineral Resources that are considered too speculative geologically to have the economic considerations applied to them that would enable them to be categorized as Mineral Reserves. There is no certainty that the PEA will be realized.The PEA was prepared under the supervision of Eugene Puritch, P. Eng., FEC, CET of P&E Mining Consultants Inc. The PEA was prepared under the supervision of Eugene Puritch, P. Eng., FEC, CET of P&E Mining Consultants Inc. Mr. Puritch is an independent Qualified Person in accordance with NI 43-101 and has reviewed and approved the technical contents noted above.